When adult safeguarding became a hot topic 10 years ago, I didn’t feel it had a lot to do with me as an articulate, middle-class user employing my own personal assistants. Indeed, I was asked to speak at one or two conferences to put the alternative view and I was pleased to stress the importance of not being prevented from taking risks. However, something that happened a few months ago has made me think again. I was rushed to A&E one Sunday morning with breathing problems and was diagnosed with pneumonia. The consultant explained the diagnosis and treatment and then went on to describe how I could sign the form for Do Not Resuscitate (DNR) so that it was on my file and then everyone would know that I didn’t want the struggle of being revived if the situation occurred again. I agreed to it without thinking. Half an hour later my husband was shown in to see me and I explained what had happened. He was rather shocked and said I shouldn’t agree unless that’s what I wanted and I realised that I hadn’t fully taken on board the implications of the consultant’s suggestion. I was admitted for a couple of days and nothing more was said to me but it was impossible not to hear another consultant suggest the same course of action to two other people on the ward when they were on their own. It wasn’t until I was discharged home with a letter for my GP that I saw that DNR was marked as the course of action and I would have to be proactive if I wanted it changed. Fortunately, my GP had some specialism in advising older people about this issue and after a full discussion by phone he was able to cancel the instruction and change the paperwork. I subsequently had excellent follow-up treatment from the hospital where a mask was fitted to prevent the likelihood of further crises, with regular visits to a specialist clinic to check on its effectiveness. The consultant couldn’t have been more positive about seeing both my husband and myself, and the DNR form has not been mentioned again. So what does this experience show me? Lying in hospital with pneumonia, as a 70-year-old disabled person, I was in an alien environment and vulnerable. Did the consultant see me, unconsciously, as someone he didn’t identify with so he followed professional protocol to the letter without thinking beyond what he could see in front of him? Was it only when I was well again that he saw me as a useful and valued member of society with a reason for being kept alive? A few months later I wondered what to share about this experience, if any. I raised it at the user group run by the Users Network, linking to the council’s safeguarding adults board (SAB). There was a shared understanding of the issue and it led to the group asking a hospital speaker to explain the required protocols at their next meeting and the chair raising the issue with the SAB. How many others have found themselves in such vulnerable situations without family with them or a full understanding of the issues? Are the pressures of costs of hospital beds leading to such safeguarding issues? What extra protocols need developing to prevent the unconscious stereotyping that we can all be guilty of? The writer wishes to remain anonymous but is a former social worker and service user. Hello former social worker, I hope you have fully recovered from your bout of pneumonia. However I am saddened to hear of your experience, it is shocking practice and something that must be explored by the medical and nursing professions without delay. We place our complete trust in these people, that they will treat us with dignity and respect at all times, not least when we are at our most vulnerable. Taking time to discuss it and maybe revisiting the subject again when your husband was with you and/or you were feeling better would have at least been a start. We all know hospitals and the NHS is buckling under the pressures but there is no excuse. This unacceptable practice is completely unethical. well, I deal with adults deemed to lack capacity under the MCA and for whom a financial deputy order has been granted. What I have found in the last 2 years is that for those placed in care homes they are having DNR orders placed automatically (without seeing a GP and for those who do they are usually new to the GP and of course their capacity in this area would need to be questioned too would it not?). One care home commented that ambulance crews complained if they turned up about a DNR not being in place for elderly clients as they were wasting their time ! Of course it was right that the Doctor asked you about this. Consent should always be taken, where possible, for any apparently likely medical procedure, but it must be approached with an open mind. I think the problem is the negative slant the questioner had. ‘Do you consent to being resuscitated as you have everything to live for but it might lead to…’ would have been nicer than ‘Save yourself the bother – sign here’. The experience of the writer is sadly not unusual with regard to DNAR and is not by any means the worst example of what is happening in too many care homes and hospitals throughout the UK. Too often the DNAR is applied with no consultation at all, and often by the decision of a junior doctor. Certainly, that is the experience of many people who call our helpline. We have been told of care homes where every resident has a DNAR automatically applied, of DNAR being applied just because a hospital patient has a learning disability, and of blank DNAR sheets being inserted in every older patients hospital file ‘just in case’, with at least one documented case where the result was an unnecessary death. Sadly the problem does not rest with the guidance on the use of DNAR, it rests with the Ageist attitudes that result in the guidance being ignored. But there is another message in this article. All too often social policy decisions have been taken on the basis of the adult who has full capacity and capability, with little regard for those adults at the opposite extreme who are in vulnerable and frail circumstances. That is how we ended up with Personal Assistants who are not governed by the same rules that apply to their domiciliary care colleagues. The ‘alternative view’ of choice and control is a powerful one but, without some real understanding of the nature of vulnerability, frailty, dependence and coercion, presents the opposite of what is intended. Policy needs to recognise and address the full spectrum of capability instead of endangering those who truly cannot protect themselves. 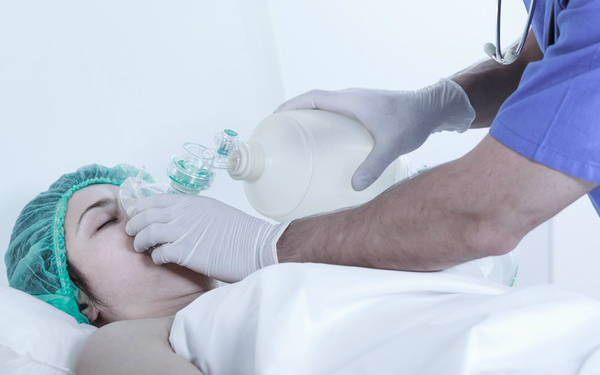 “Do not resuscitate” is frequently confused with “Do not treat”. Having heard the story of an elderly woman in a care home forced to undergo pointless attempts at resuscitation (put on the floor, blouse ripped open, thumped in the chest) as she lay dying because there was no DNAR in place, I know what I fear more. Do people want to be treated as adults or not? This appears to have been discussed in an unhelpful manner. It is important to note that DNAR decisions have nothing to do with freeing beds as another comment suggested but is important recognition that resuscitation may be futile. Our GP raised this possibility (DNR) with me in respect of my wife. I scotched the whole idea immediately as although she has vascular dementia there are long periods when she is almost totally lucid, apart from memory loss. She insists I do not call a GP and do not allow her to be taken into hospital, yet she is a highly qualified nurse. Odd? Based on inside knowledge? I only know that I shall pay close attention to anything requiring a signature, and anything that does not is out of bounds as far as I am concerned. John Finch. My mother is 93 years of age and has been in care for seven years. She has no mental capacity, no facial expression, has no recognition of the family,, spends most of her time asleep or just laid staring vacantly and has done so for over the last year. Absolutely everything has to be done for her. She has been non load bearing for over seven years and has to be hoisted, showered, fed, have her nappies changed and looks like a skeleton. I have been asked numerous times if the DNR should remain on her notes and I have said yes, also that she should end her days in the care home. Surely, it is the kindest option. Recently, she developed a cough and the GP prescribed antibiotics. The following morning the nurse at the care home called 999 and she was admitted to hospital where she was given oxygen and a saline drip. I was prepared, by the doctors and nursing staff to expect that she would be nursed until she slipped away. No, not my mother, she recovered sufficiently to return to the nursing home. Would it not be kinder for her to have been allowed to die with dignity?